The Maharishi Mahesh Yogi ashram in the Indian town of Rishikesh where The Beatles learned to meditate has been opened to the public. The Beatles spent time at the 18-acre spiritual retreat, meditating and writing songs in 1968. Many of the songs made it onto the Bratles’ iconic White Album. The ashram was run by Maharishi Mahesh Yogi, a flamboyant self-styled Indian guru, who died in 2008. The retreat was abandoned by the guru and his followers in the 1970s. However, the ashram, which was taken over by the local forestry department in 2003, remained a big draw with Beatles fans from all over the world. They would usually sneak in by climbing the walls or paying a small bribe to a gatekeeper. The retreat is located on the fringes of a tiger reserve. A meditation hall with colorful graffiti on the walls is the main attraction. Authorities opened the ashram to visitors on December 8, and are charging Indian and foreign tourists 150 ($2.24) and 700 rupees ($10.49) respectively. Visitors will not be allowed to draw on the walls on the ashram without permission from the authorities, he said. The Beatles had planned a three-month retreat at the estate in 1968, but, according to some accounts, it descended into farce. Ringo Starr went home after 10 days complaining about the spicy food. Paul McCartney stayed for a month, while John Lennon and George Harrison left abruptly after six weeks. Paul Saltzman, author of The Beatles in Rishikesh, says the band wrote some 48 songs during their stay. 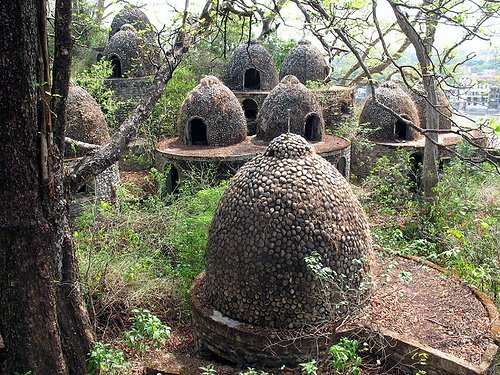 The ashram itself – leased to the guru by the government in 1957 – was gradually reclaimed by nature after being abandoned.